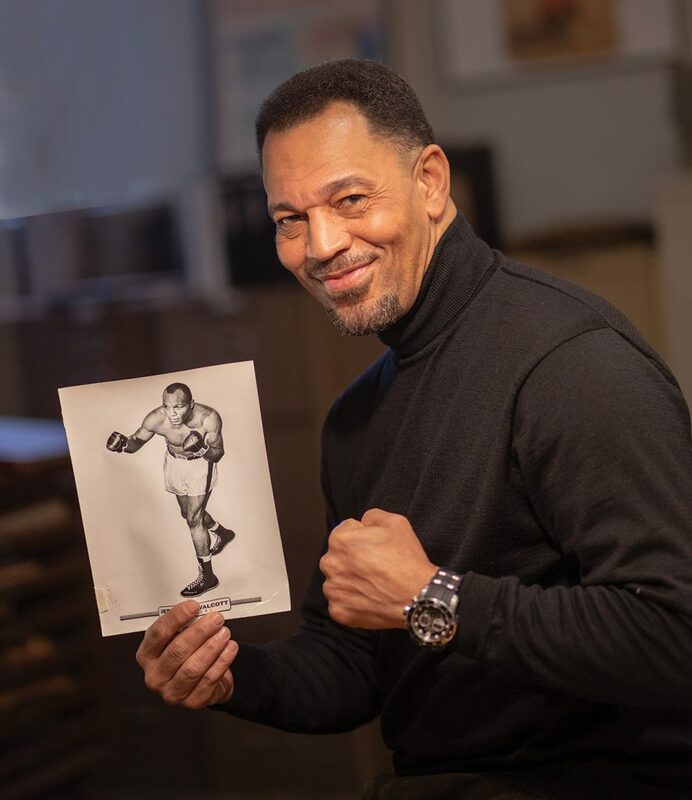 Vincent Cream CCAS’83 with a photo of Jersey Joe Walcott. Long before Muhammad Ali, there was Arnold Cream. A Camden County-born son of an immigrant from the Virgin Islands, he boxed on the sport’s biggest stages—including fights in Yankee Stadium and Madison Square Garden—under the name Jersey Joe Walcott. He won the World Heavyweight Championship in 1951 at the age of 37, becoming at that time the oldest fighter ever to hold the crown. Walcott lost his title to Rocky Marciano in 1952 and was defeated in a rematch the following year. He retired afterward, stepping into a career of noteworthy civic positions, including being elected sheriff of Camden County in 1974—a political victory that made him the first African American elected to countywide office. (He ran as Arnold Cream Sr. and never legally changed his name to Jersey Joe Walcott, although that was how he was widely known.) He also served as chair of the New Jersey State Athletic Commission and directed many special statewide projects aiding children in need. “He came out of boxing and stepped right into a role of doing service for the community,” Vincent Cream said. 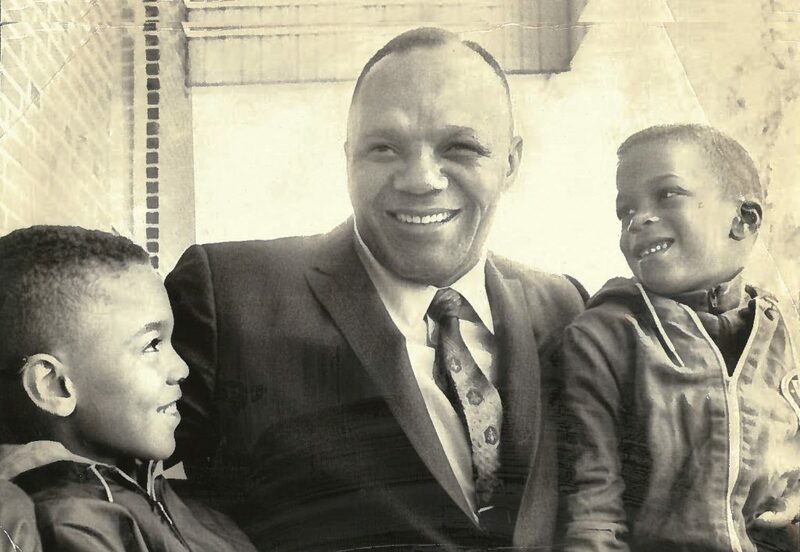 Vincent Cream, pictured at left with Walcott and cousin Nathaniel Streater in 1968. Walcott married his second wife, Riletta Cream, the late Camden County freeholder and educator, after his first wife, Lydia, died in 1970. He died in 1994 at the age of 80. Vincent Cream, who earned a political science degree, said his grandfather—who had only an eighth-grade education but often said that he had earned a “Ph.D. in life”—and his father were major influences. “They both beamed with pride when I received my degree,” he said. Vincent Cream, a Pennsauken, New Jersey, resident, has had a successful career in sales and now works as a sales marketing consultant for Allied Beverage. He was involved in Rutgers–Camden student government, serving as a student body vice president, and was a founding member of the Kappa Alpha Psi fraternity chapter. 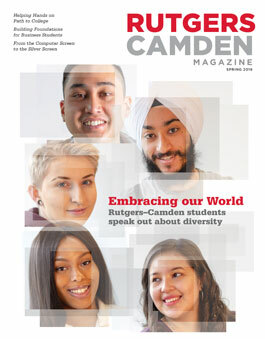 “Some of the best times of my life happened at Rutgers–Camden,” he said.